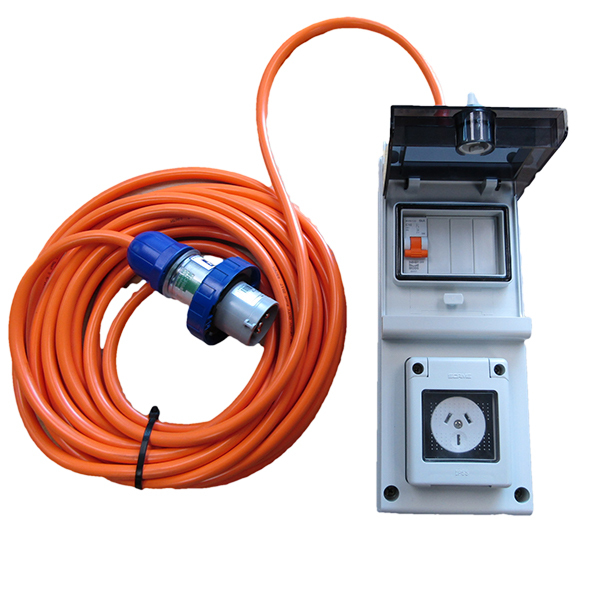 To supply power to tools and appliances used onboard when the vessel does not have its own shore power switchboard. Waterproof 10 Amp outlet, MCB or RCBO overload. 10, 15 or 20 metre long lead, plus marina plug. Add an ‘E‘ at the end of code to have the RCBO option provided. eg. MARSUP10E = Marina Power Tool Lead with an RCBO.